There are many benefits to hiring workers overseas. With the world more connected than ever, finding the candidate that ticks all your boxes can happen—except that they might not live in the same area code. But with the many benefits of overseas employees, there are some challenges that make managing them a potentially stressful situation. Essentially, your options can be broken down into three categories: Either you manage employees overseas yourself, and potentially save costs, though you’re going to be spending a lot of time trying to communicate effectively and learn about the laws and regulations of a foreign country. You can also hire someone overseas to manage and hire your employees, with the potential drawback of having to pay a manager and offer all the benefits they are entitled to as an effective manager. Finally, you could partner with a PEO that will manage your overseas employee for a flat rate fee. 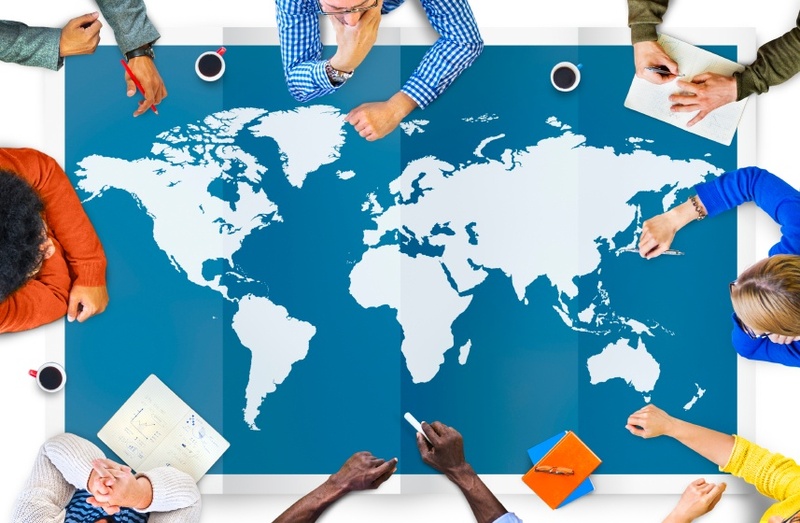 Here are some tips to help effectively manage employees overseas, and a few pros and cons to consider when you do finally decide on which route you’re going to take. Communication is the foundation on which your management relies. You need to be able to convey your ideas clearly to the team overseas for them to fulfill their designated tasks without your immediate oversight. It can be challenging because you and your overseas employees might not even speak the same native language. When writing emails, make sure that you avoid idioms or slang that would confuse non-native speakers. Everything should be written in clear language and in detail to avoid ambiguity. Planning regular conference calls with your employees is a must. It’s even more important if your overseas team is in a time zone where both of you only have a small window of opportunity where you’ll both be at your work desks. Making sure that you have a clear template for assigning tasks via email will help insure a consistency of tasks that are fulfilled adequately. Setting up a chain-of-command might be valuable to your business, whether that be someone who is available at hours when you’re not, or even an overseas manager who can make executive decisions in your absence. Hiring a manager in the overseas country is additionally beneficial, since they will also be more familiar with the laws, regulations, and culture of that country and as long as they’re experienced and capable will let you rest knowing your company is in good hands. It’s also going to be easier for them to monitor and hire foreign workers for your company, and their cultural insight during the interview process can only be an asset. Another possibility is partnering with a foreign EOR (Employer of Record). An Employer of Record will be able to manage your overseas employees for you and will have a qualified team of professionals keeping track of all the laws, regulations, and paperwork that’s necessary in order to manage your team. It will be up to the Employee of Record to handle all the HR tasks, effectively alleviating you of any potentially risks and liabilities that could occur as you attempt to wade through managing both a local business and a team overseas. Without you having to spend all that time learning about the laws and regulations of a foreign country, and dealing with the cultural tensions that may occur as you attempt to handle overseas employees, an EOR will help you focus on your vision, content that your overseas employees are able to work and assist you in your business to the best of their abilities.